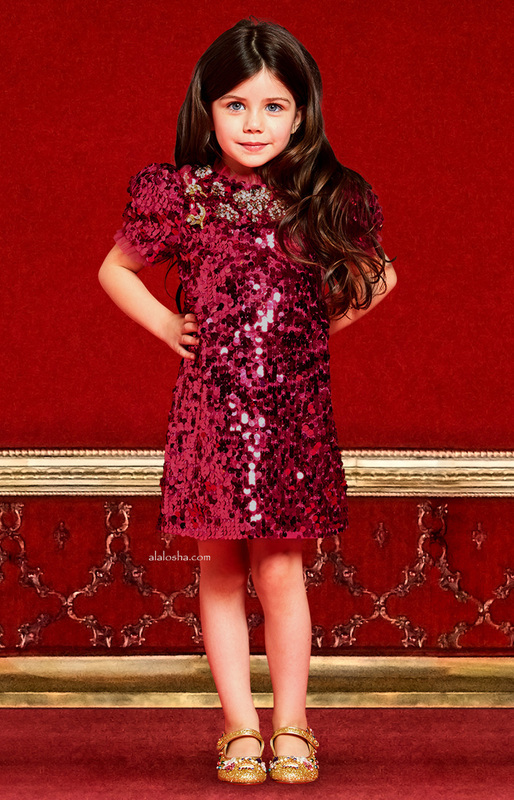 "The Baby Dolce line is conceived as a further expansion of the Dolce & Gabbana world, in terms of product, design content, craftsmanship, function and positioning. This is an homage to Italy and to our tradition. It's part of our culture and marks one of the most important moments in our lives. "said Gabbana. 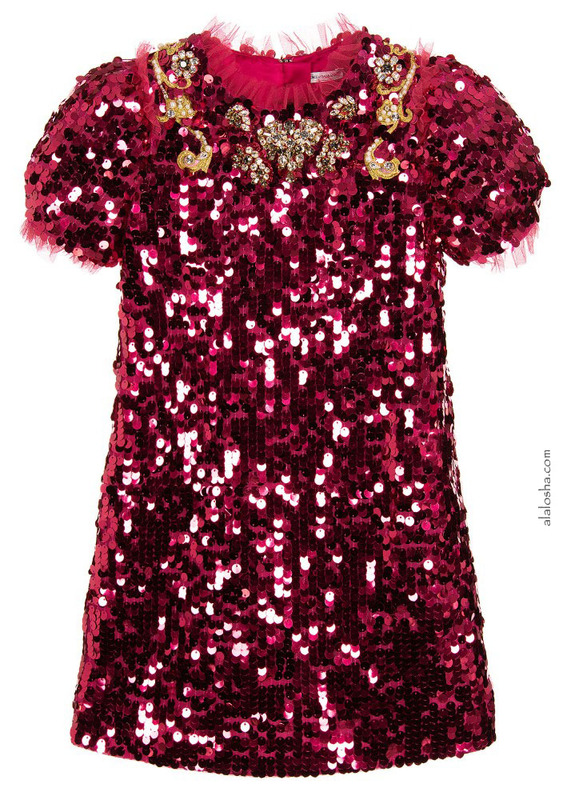 Girls stunning, bright pink dress by Dolce & Gabbana, adorned around the neck with amazing crystals, pearls and gold embroidery. 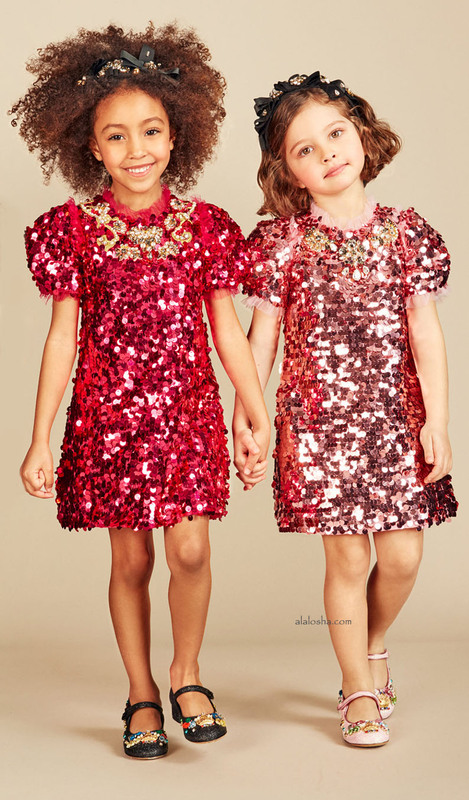 The perfect dress to get noticed in, the tulle overlay is covered in shimmering pink sequins and there are tulle trims around the neck, shoulders and cuffs of the pretty puffed sleeves. Fully lined in pink satin, there is a concealed zip fastener at the back.